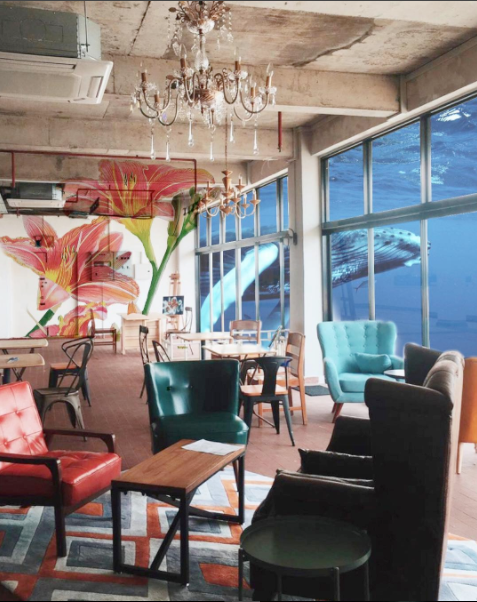 Coworking spaces in Singapore are considered super hip these days, and for good reason. 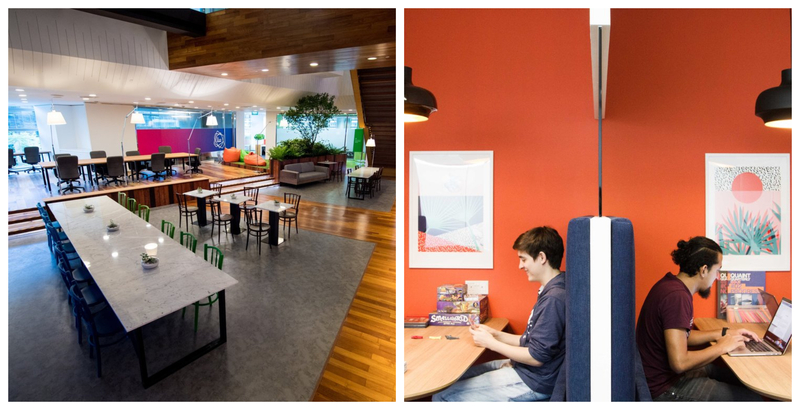 These workplaces are usually stylish, swanky and super productive for getting work done. Plus, you get to meet many others who are just like you and are professionals in their own right and fields. Not forgetting the well-stocked pantries, gorgeous views and super fast Wi-Fi. It’s little wonder why more and more coworking spaces are popping up all over Singapore! Let’s check out 11 coworking spaces that cater for every working professional in Singapore. Co-founded by Narelle Kheng, the creative lamented her days of camping out at Starbucks and feeling cooped up at home. With the desire of bringing like-minded people together, 21 Moonstone was born with the aim of bringing a community of creatives together, who would help each other without judgement, ego or pretence. Whether you’re into art, writing, photography or any other forms of creative art, 21 Moonstone is the office you need away from home. The space aims to provide an innovative environment for you to perform your heavy duty thinking and conceptualization work. 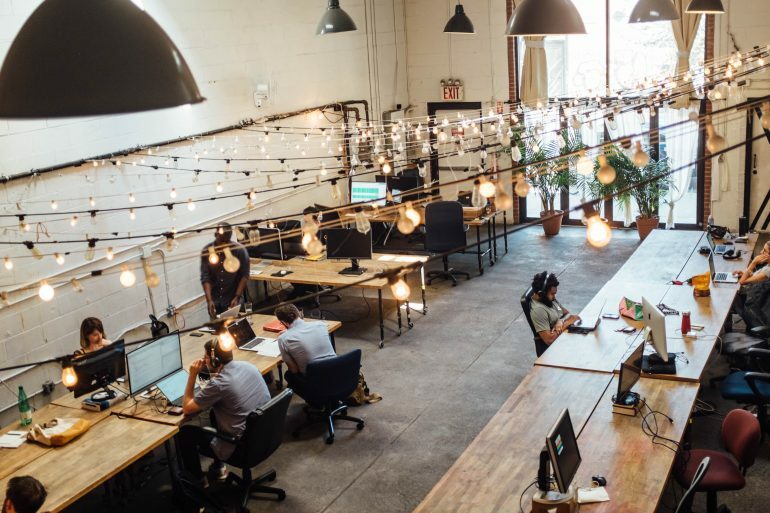 A coworking space by day and dive bar by night (on Fridays and Saturdays); a dedicated personal desk costs $500 a month, while a hot desking package costs $150 for eight days of use in a month. At Found8, they believe new opportunities are created where people and ideas intersect. 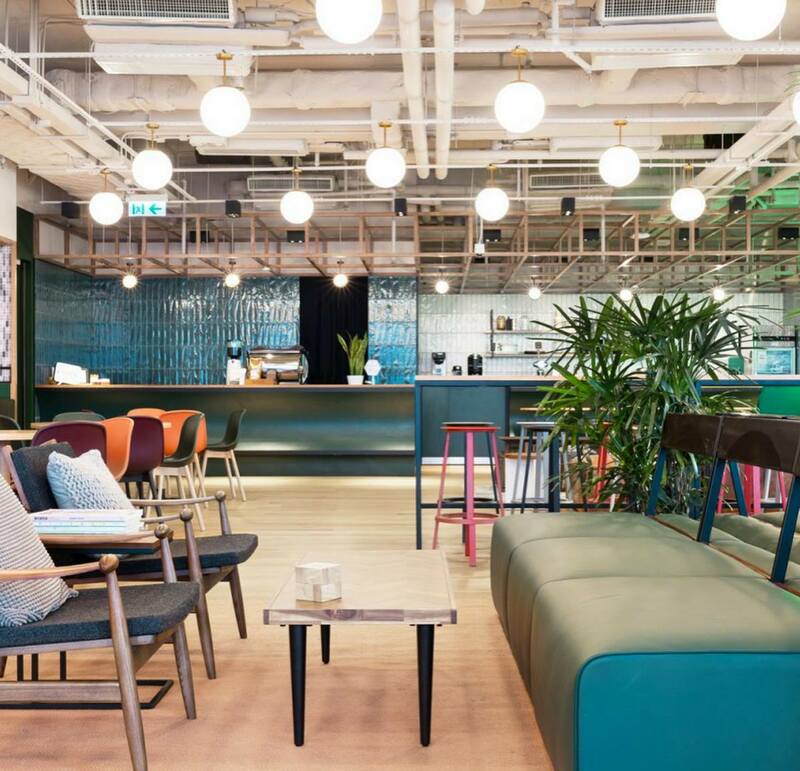 This coworking space in Singapore is a convenient place to do work, host meetings and workshops, gain access to mentors and industry experts as well as to expand your social and business networks. Located just minutes away from Clarke Quay MRT, Found8 offers hot desks, dedicated desks, private offices, event spaces and meeting rooms. The lounge, library and common coworking spaces serve as areas for collisions and intriguing conversations to start. Give your eyes a break and take in the panoramic views of Marina Bay Sands, Boat Quay and Fort Canning Park! Prices start from $390/month for hot desks and $550/month for dedicated desks. Most coworking spaces in Singapore probably wouldn’t come fitted with these many fitness and wellness equipment. A collaborative centre for fitness and wellness professionals and enthusiasts, Core Collective seeks to serve the workaholics in downtown Singapore. Besides providing access to a wide range of fitness and wellness programmes to rejuvenate both the mind and body, entrepreneurship and the sharing of knowledge among the resident community of fitness and wellness professionals is fostered. If you’re keen to kickstart a business of your own, expand your existing businesses or network with other professionals in the health and wellness industry, this is the coworking space to be at! Services such as physiotherapy, alternative medicine, yoga classes and personal training are also provided. Facilities such as consultation and treatment rooms as well as a physical treatment gym are available for booking. 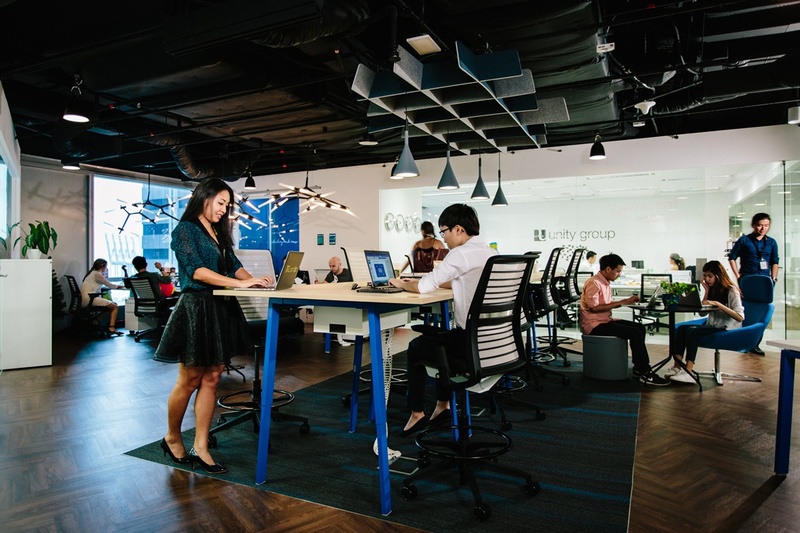 Connected to Unilever’s regional headquarters at Mapletree Business City, LEVEL3 is the coworking space in Singapore that brings together corporates, startups and ecosystem partners to push for innovation and form new partnerships. With a strong focus on technology, LEVEL3 welcomes those in Data & Artificial Intelligence, Food & Agriculture Technology, Sustainable Growth Technology, Logistics & E-commerce as well as Marketing & Advertising Technology. A hot desk goes for $400/month and a personal desk goes for $650/month. Membership perks include access to Unilever’s mentorship programmes, focused Unilever briefs and funded pilots; access to pro-bono consulting for legal, financial and business advisory as well as discounts for food and beverage at Mapletree Business City. Definitely gives you that lil’ extra compared to other coworking spaces in Singapore! For the nifty fingers, the crafters, the makers, the designers, the artists – this coworking space in the East provides facilities such as 3D printers, laser cutters and specialised working stations equipped with design software. Located in Katong Point, this three-storey facility boasts of a retail space, workshop rooms and a shared working space that can accommodate as many as 200 people. Take a power nap in the napping room on one of the comfortable hammocks or grab a cuppa in the pantry. Build on ideas and collaborate with like-minded people from the industry to make great things happen! 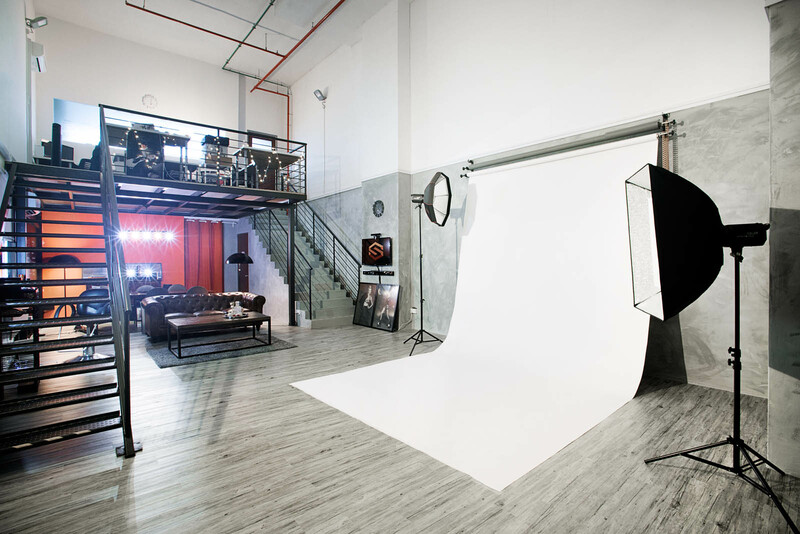 Photographers, videographers, directors and content creators would all agree on one thing – creative studio spaces in Singapore can be expensive! MVR Studio was born to empower Singapore’s emerging creatives to work independently (away from home), while sharing a space to reduce costs. Afterall, who likes huge overheads? The space was inspired by studio-loft concepts in Los Angeles and New York. Permanent desks start from $250/month. Common facilities include conference tables, client area, access to the rooftop, swimming pool, gym and shower. The photography studio is open 24 hours and can be booked at affordable rates starting from $35/hour! You want all the perks of coworking spaces in Singapore but you’re not always fond of speaking to people. The introvert in you craves for a quiet working space where you can maximize productivity, while having the option to meet other people on days where you feel more social. If this is you, SILO was designed for you. With over three shophouses of spacious offices and discreet nooks for small meetings, conversations and personal brainstorming to occur, you’d fall in love with the stone and clay, minimal furnishing and restrained colour palette. The coworking space is perfect for local SMEs to scale their businesses and for MNCs to set up satellite offices to establish regional presence quickly and cost effectively. Located on the bustling Temple Street, SILO is within close proximity to restaurants, eateries and cafes. Chinatown MRT and Telok Ayer MRT are both within walking distance. Trying to calm your crying baby while attempting to meet your work deadlines? 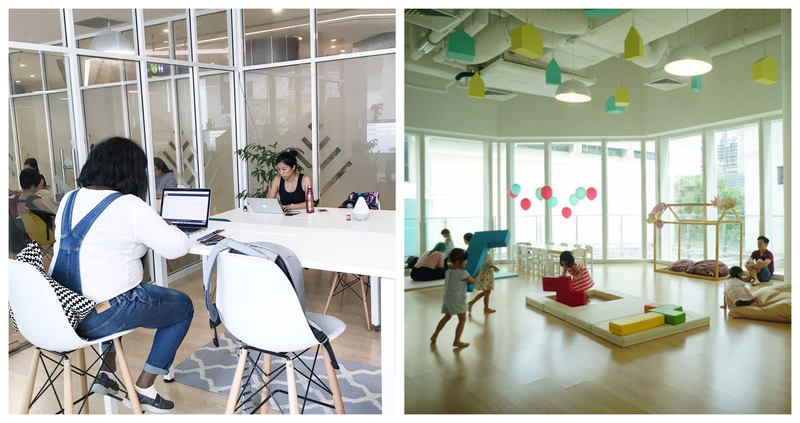 Trehaus is the first family-friendly coworking space in Singapore, a godsend for working parents! Varied work areas with different levels of privacy are available, from private offices for meeting and client calls, to shared tables for a fruitful day of work. Event spaces are also available for booking and are great to hold seminars, workshops, networking sessions and even kids parties! Members can drop off their little ones to be taken care of by friendly and caring facilitators at the Atelier while they get down to work. Trust me, no other coworking spaces in Singapore would have such a spacious playarea for your kids to have fun while you work! Young, broke but not really that dumb? 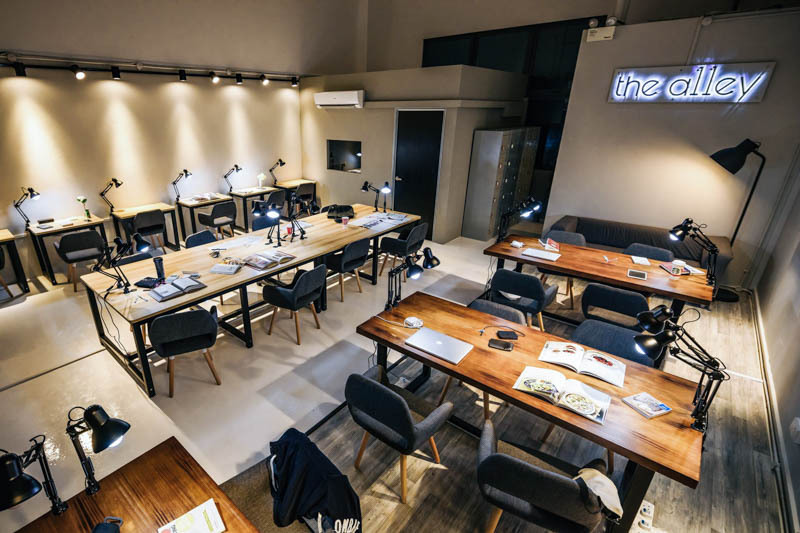 The A11ey is a coworking and study space conveniently located in Serangoon. Doing away with fancy amenities, such as cafe-inspired pantries and rooftop space, has made it super affordable for students who are on a tight budget. Prices start from just $6-$15 for both individuals and groups, for 3-12 hours at a time. No reason why you should be looking at other coworking spaces in Singapore because The A11ey caters to all your work and study needs! All work desks in the common spaces are free seating, so make sure you book to reserve a seat! The coworking space provides lockers for safekeeping of belongings. Printing services are also available on working days from 11am-7pm. 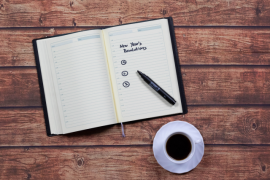 Discussion rooms can also be booked to hold group discussions, small meetings, team building activities or to work in a more secluded, quiet environment. All rooms are equipped with a movable whiteboard, free Wi-Fi, individual power outlets and curtains for extra privacy. The 33,000-square-foot space at Keong Saik Road is a three storey refurbished shophouse that exudes a retro-chic vibe. It’s a coworking space that doubles as a hub for the community with the first floor of The Working Capitol being a F&B space. With 52 work desks (fixed desks with storage), over 100 workspots (hot desks) and 20 private offices for 2-8 pax, there is something for everyone. All work and no play makes Jack a dull boy. Let your hair down at the end of a hard day of work at the Beer Garden! Dine at the three attached restaurants which are great for hosting client luncheons and team happy hours. A great reason for picking The Working Capitol over other coworking spaces in Singapore! Afterall, who doesn’t like beer? Get access to a curated network of professional service providers, exclusive partner discounts and programmes to provide an extra boost for your work and life. Exclusive workshops and lectures on the startup scene in Singapore are also offered to members of The Working Capitol. Work spots will set you back by $450/month, work desks by $875/month and private office spaces start at $2000/month for a two-man space. The space at Collective Works’ Capital Tower is divided into different colour zones, where you can meet other people with similar working styles. If you’re into socializing and enjoy working in high-energy environments, head over to the the vibrantly-coloured areas where music plays in the background. Snag a seat in the area with neutral tones for some peace and quiet. Located just above Tanjong Pagar MRT, Collective Works’ landmark location occupies the entire 12th floor of Capital Tower. A sprawling 22,000 square feet, enjoy working at coworking desks or bounce off ideas in the collaboration and huddle areas. Prices of coworking desks start from $240/month. Member benefits include access to Collective Works’ curated Members network, invitations to exclusive Members-only events as well as Collective Works talks and workshops amongst others. Need to hot-desk or prefer a dedicated desk that’ll be yours for a month or more? Or perhaps you’re looking to book an event space? 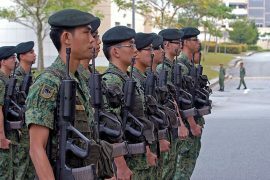 Check out Nubela Singapore then! 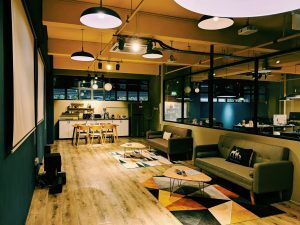 Conveniently located right next to Tai Seng MRT station, this is one coworking space in Singapore that’ll serve all you easties. Dedicated desks come with printer and projector use, charging point and access to a pantry. If you don’t mind working from a different desk on a daily basis, then consider the hot desking option. Though cheaper, it doesn’t skimp on amenities and still includes charging point and pantry access. Dedicated desks monthly rates stand at $300/month while hot desking monthly rates will set you back $150/month. Psst, take advantage of their ongoing promotion and reserve a desk at just $5/day. First come first serve basis only. 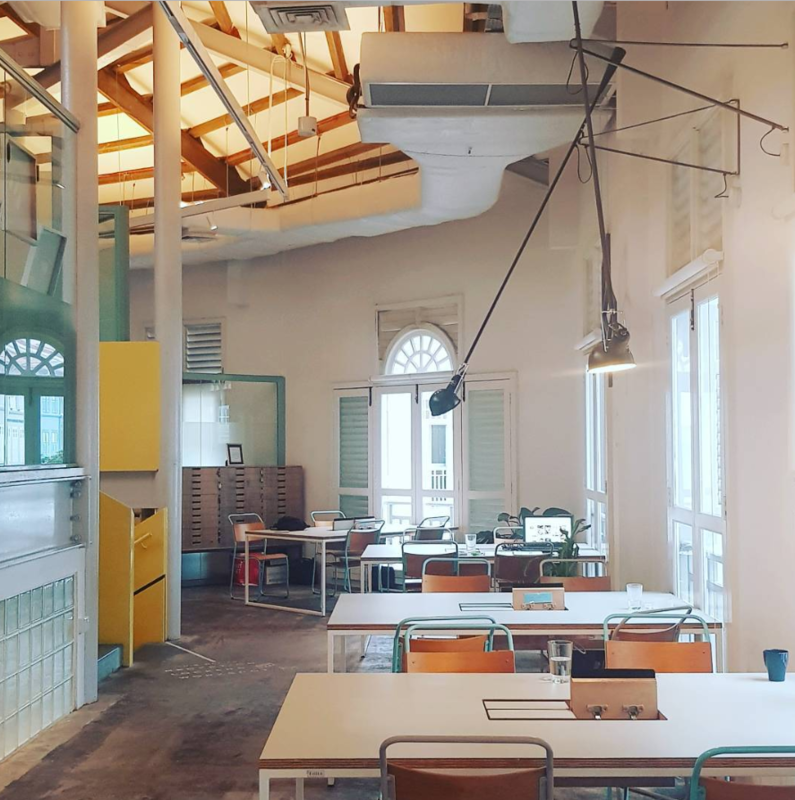 The Company (formerly known as District6) is a coworking space in Singapore that engineers many opportunities for its members to collaborate and create together. 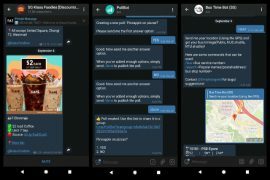 It also has its own SNS network, making it that much easier for members to find each other and start talking! With coworking spaces in Japan, USA and other parts of Southeast Asia, The Company is the perfect coworking option for the jetsetter entrepreneur. Choose from flexi and fixed desks, private offices, conference rooms and event spaces that can hold up to 100 pax! Did we also mention they have an in-house Japanese coffee bar, Kurasu? Yumm! Pay $50 for drop-ins and choose from their multiple desk plan options. Their 12-month Flex Desk Unlimited plan will set you back $398/month for 24/7 access of the working space and use of meeting rooms capped at three hours/month. Working never has to be boring again. 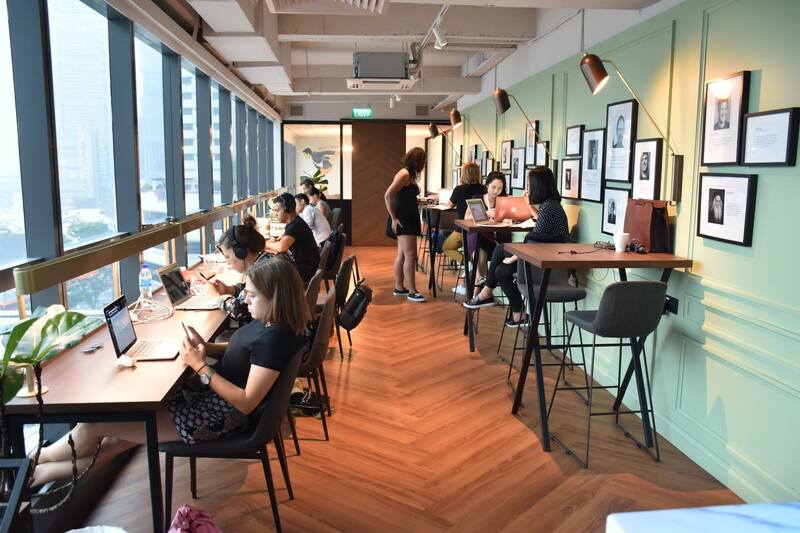 Say hello to productivity and of course a new friend from the industry, as you share ideas and seek out new opportunities while you’re at the grind at these coworking spaces in Singapore. These #officegoals will definitely make you want to go to work! Working at these coworking spaces in Singapore often require a good pair of earphones to block out the other people sharing the space so check out this beginners’ guide to picking the best earphones! 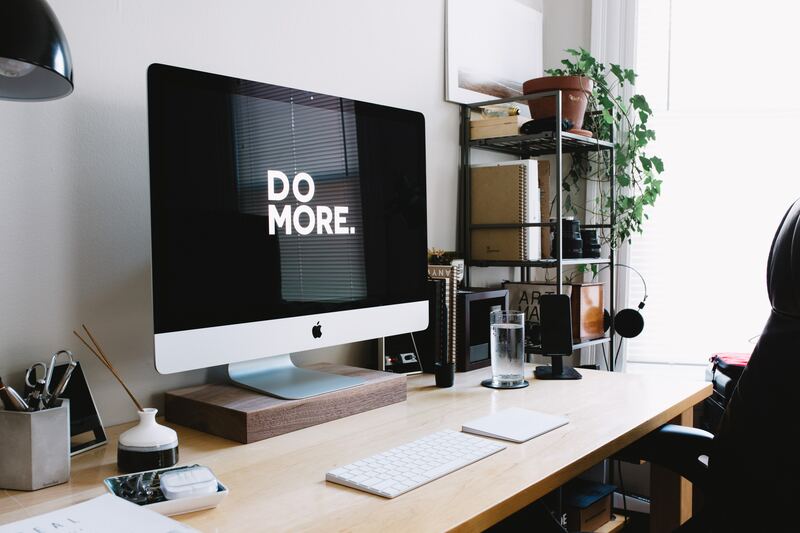 Once you’ve decided to settle down in a particular coworking space in Singapore, make your desk truly yours and neat af with these 23 items!